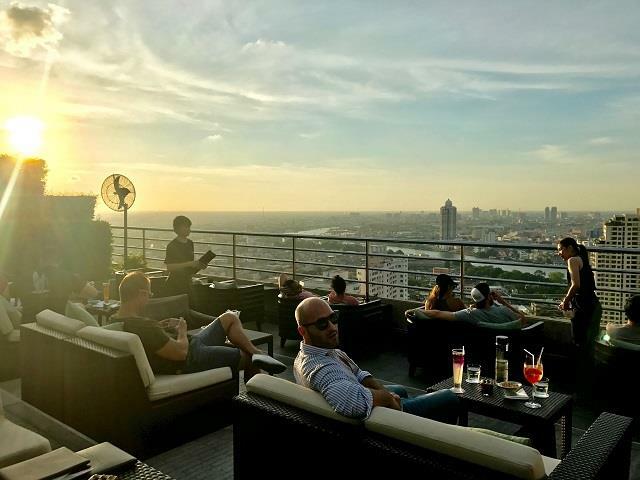 Three Sixty at Millennium Hilton is a rooftop bar with focus on creating the perfect harmony along with one of the best sunset views in Bangkok. 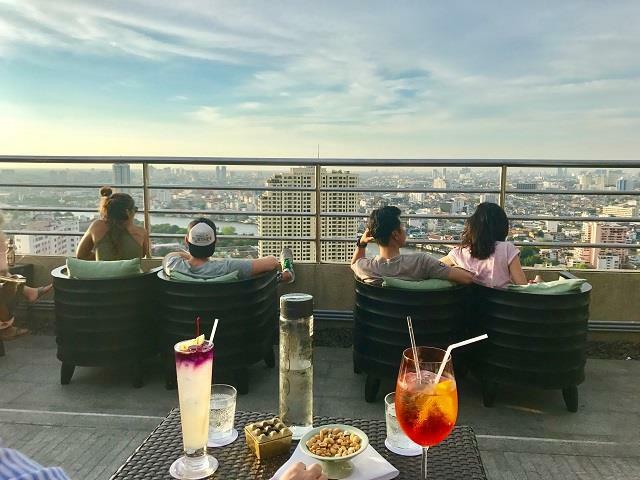 When they also deliver in terms of food, drinks and service, you know that this is one of the best rooftops you can find in BKK. 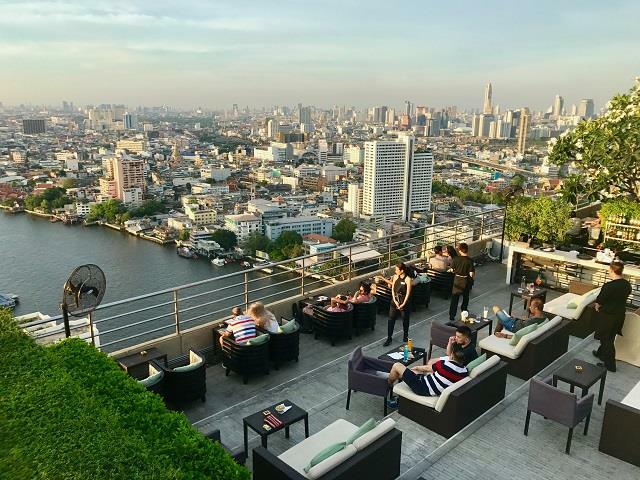 When speaking of sky bars in Bangkok this rooftop always comes to mind. 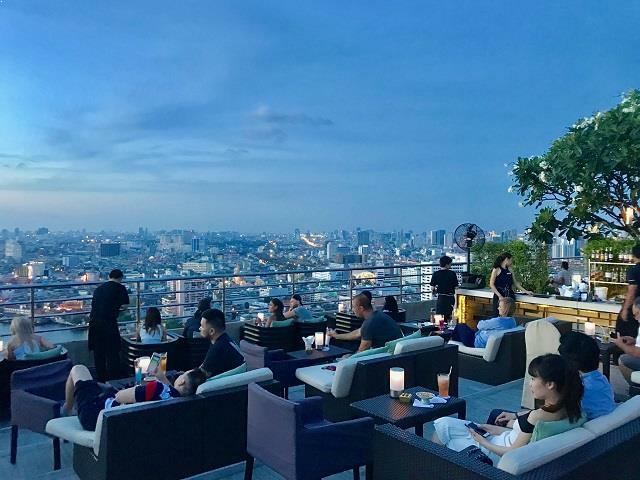 Here’s a complete list of the best in BKK and here's our story of the 3-hour visit. 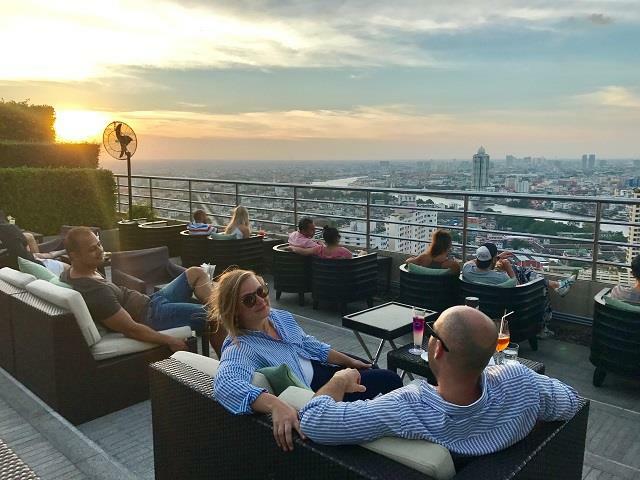 Arriving at a rooftop bar in Bangkok around 5:30 PM is the perfect time. Lots of seats available, a little calmer atmosphere and right in time for the sunset. 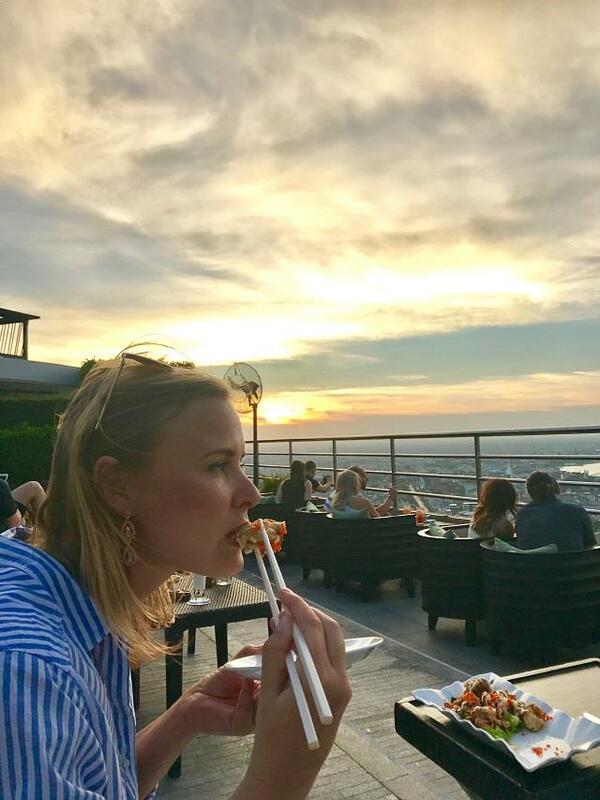 The Asian sunsets are very beautiful with the reddish sun and grand views. And this evening was no exception. When entering the terrace, we were shown to our seats. A smaller lounge sofa with a table with a fantastic view. 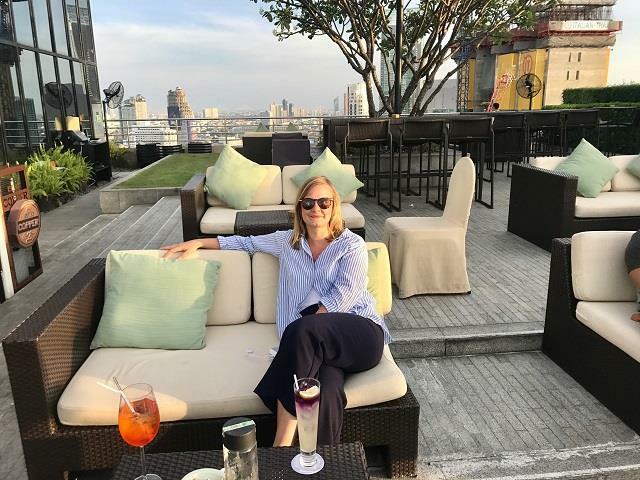 I ordered my favorite drink, the Aperol Spritz and Ida had a signature cocktail that are special for the Three Sixty bar. We were also quite hungry and decided to have some large snack plates. 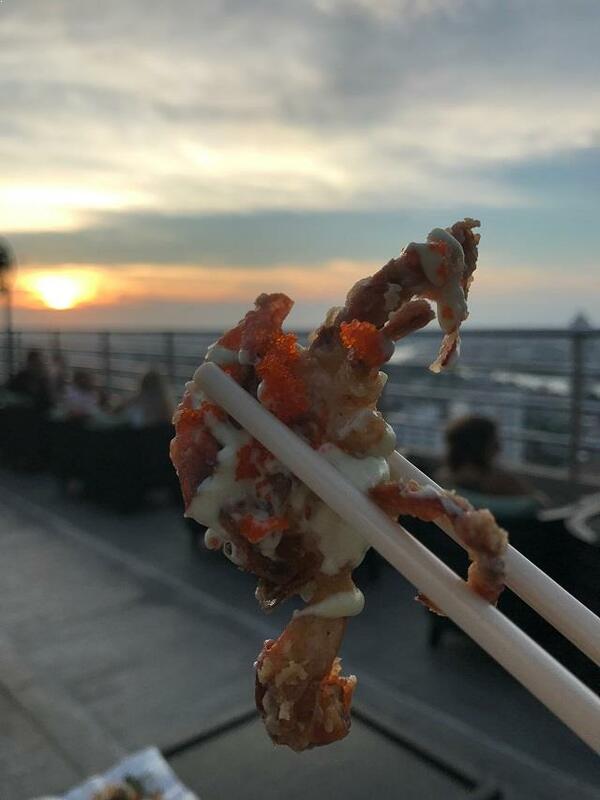 And the snacks were delicious. Typical Asian snacks in form of seafood and fresh vegetables. The plates were quite big and two plates was perfect for 2 persons. After the snacks, we checked out the helipad located above the terrace. A nice view spot and a chance for some really nice pics. 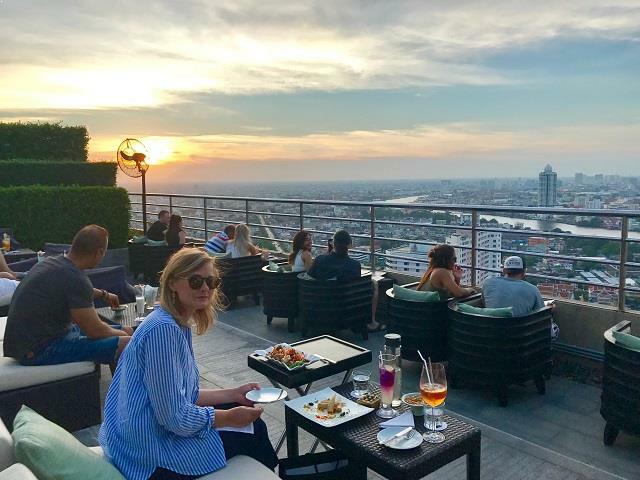 The sun was just setting, which created a beautiful light over the terrace and city of Bangkok. 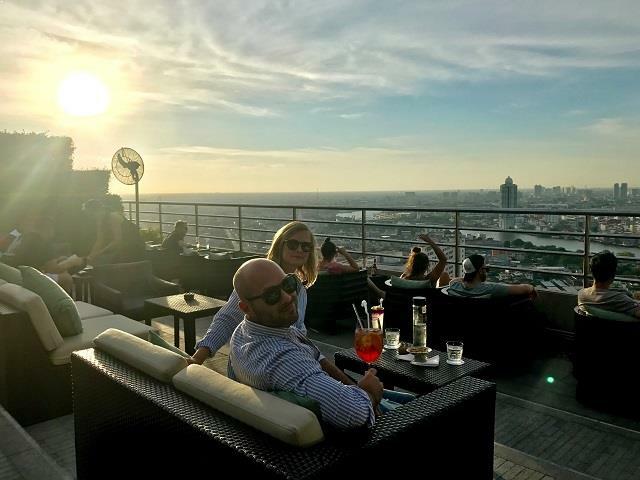 Three Sixty is one of the best rooftop bars in Bangkok if you want to enjoy drinks in front of a beautiful sunset. A couple of minutes after the sun had set, darkness fell over the terrace and created a little bit more of a party atmosphere. 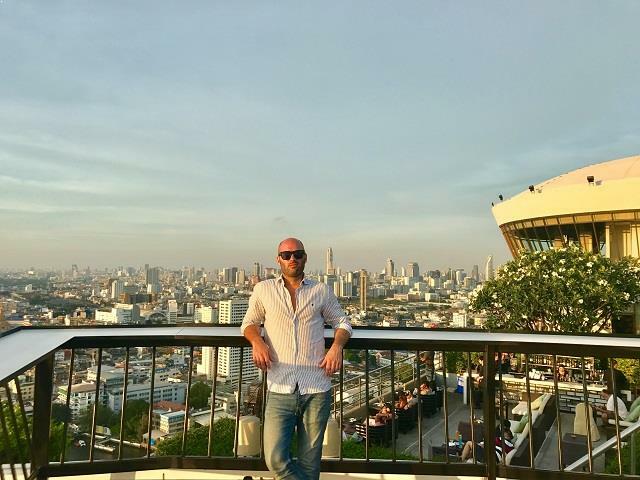 But still quite calm compared to many other rooftop bars in Bangkok. The night time view was also spectacular. 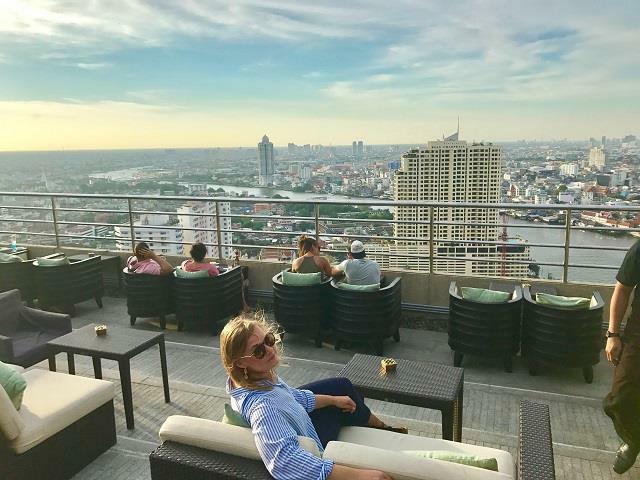 We loved this rooftop and it’s the perfect place for some drinks with a view if you like harmony in a magical setting. Also, plus for great service and nice drinks. Book one of the sofas in advance to make sure to get most out of your visit here. 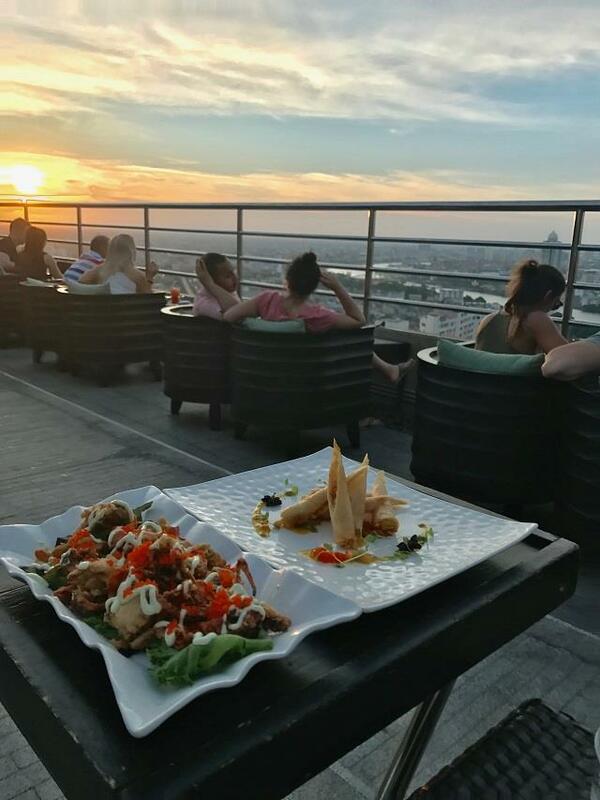 For more information check out Three Sixty at Millennium Hilton here.